Still, God, you are our Father. All of us are what you made us. Don’t be too angry with us, O God. Don’t keep a permanent account of wrongdoing. Keep in mind, please, we are your people—all of us. I love to crochet and I love yarn. I really love yarn… a lot. It is impossible for me to into a yarn store and come out with just one yarn, I have to touch all of them and some of them are always very sticky and follow me home. I have so much yarn that I have a yarn room in my new house. I already have enough to keep my fingers busy for my (and several other’s) lifetime. At this rate I will live forever. Whenever I crochet something I have to untangle the yarn. Inevitably the yarn that I use has knots galore in it so that I must work out all of the knots to make somethi ng beautiful. If I tried to crochet a sweater with knotted yarn it wouldn’t work out very well and it wouldn’t look very good either. 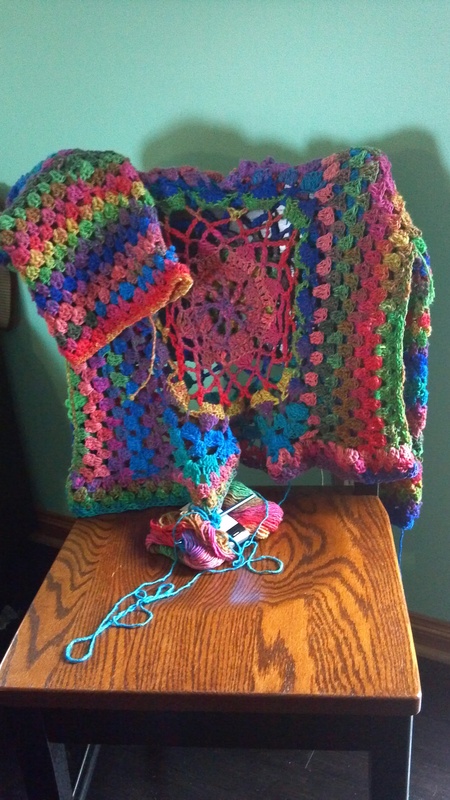 My best friend has called my crochet projects “Detangled Creations”, and that is exactly what they are. I chose to allow the Creator to create in me something useful for His glory rather than just sit alone – a ball of yarn without purpose.